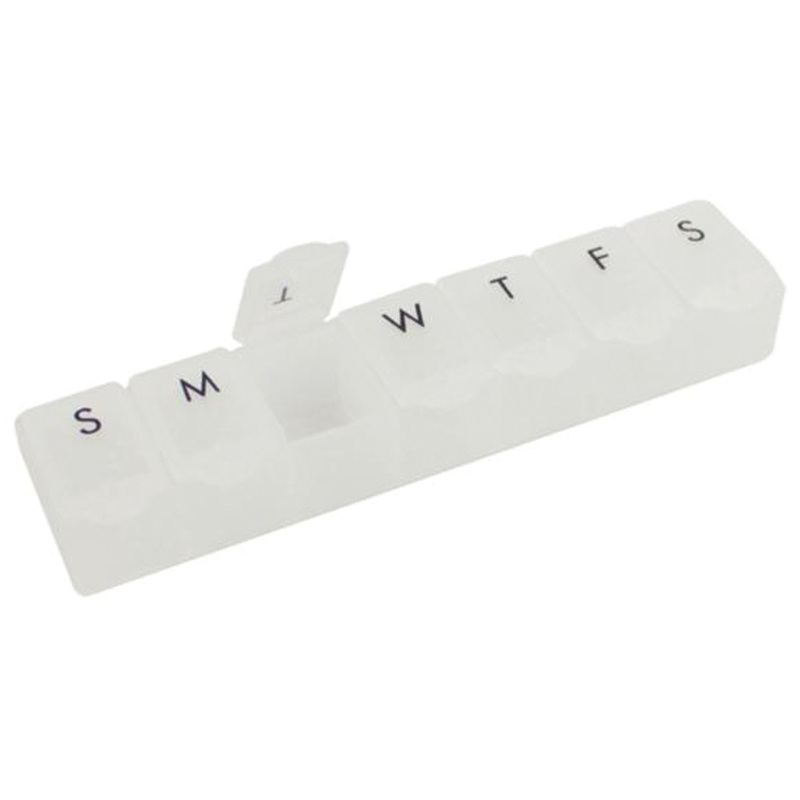 An extra large pill case manufactured from robust polypropylene. 7 compartments with flip top lids, one per day for daily medications. Ideal size for arthritic fingers and hands that cannot easily grip small pills and tablets. Each lid is marked with both letters and braille. Robust, and simple to use.